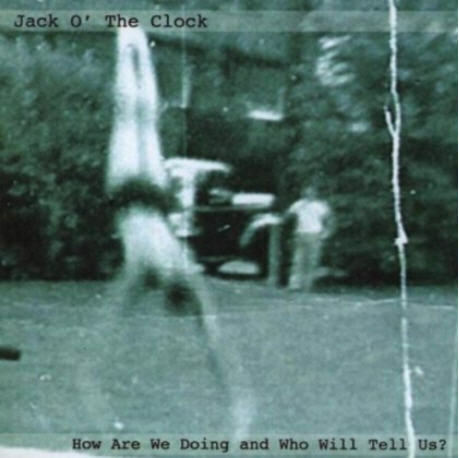 Exposé Online » Reviews » Jack o' the Clock - How Are We Doing, and Who Will Tell Us? The East Bay area (Oakland and surrounding) has produced some interesting musical hybrids of late. A lot of that no doubt has to do with Fred Frith’s involvement with the esteemed Mills College, where many of the musicians involved in this musical renaissance have ties. Enter Jack o’ the Clock, a five-piece led by Damon Waitkus, who plays guitar, banjo, piano, flute, ukelin, hammer dulcimer, and sings. This is their second release. Other members provide additional voices (male and female), violins, bass, banjo, trombone, psaltery, flute, recorder, accordion, bassoon, drums, and percussion, as well as field recordings to the mix. Their sound might nominally be called experimental folk, as acoustic instruments tend to dominate, and the compositions – odd as they sometimes may seem – are song oriented, yet they are pushing those limits out in every direction, be it 20th Century classical, Americana, chamber, progressive rock, medieval music, just about anything one might imagine. For example in one section of the ten-minute “First of the Year,” Beach Boys-like harmonies mix with chugging metal rhythms flanked by beautiful classical-inspired melodies courtesy of violin and bassoon. Field recordings and sound effects mix freely with their inventive arrangements, where almost anything becomes possible, yet always remains listenable. Normally around this part of a review I would offer some reference points or comparisons, but in this case that would be futile. There’s an amazing amount of originality in these twelve tracks, and those looking for some intrepid, barrier-breaking music would do well to start here.